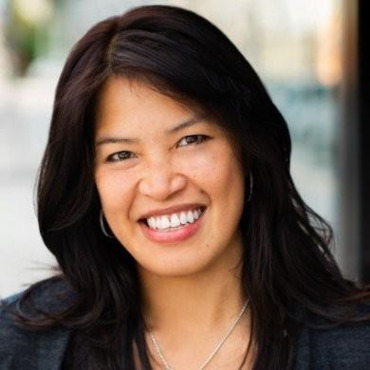 Jennifer Cabalquinto is currently in her third year as the chief financial officer (CFO) of the Golden State Warriors. In this role, she oversees all day-to-day and long-term financial planning and accounting for the organization. With over 20 years of finance leadership experience in a variety of start-up, turnaround, and high growth business environments, Cabalquinto most recently served as vice president and chief financial officer for Universal Studios Hollywood since 2007. In this role, she was responsible for NBC Universal’s theme park and Citywalk operations in Los Angeles, California. Cabalquinto joined NBC Universal as part of the Telemundo acquisition. At the time of the acquisition, she served as vice president and chief financial officer for the Telemundo Station Group in Miami, Florida. With the integration of Telemundo, Jennifer was relocated to Los Angeles to serve as vice president finance for NBCU’s Los Angeles television stations – KNBC, KVEA and KWHY. Before joining Telemundo, Jennifer worked for Ernst and Young, Royal Caribbean Cruise Lines and Future Tech International in auditing, financial planning and reporting and controllership roles. Jennifer earned a Bachelor’s degree in Accounting from SUNY, Binghamton’s School of Management.